A year and a half ago, I entered Ludum Dare 28 with Rude Bear Resurrection, and to my complete astonishment, I won the innovation category. It was a simple idea – whenever you died, you left a corpse behind that anyone else in the world could stand on, and you left a death message people could read. The jam version was cool, but it wasn’t scalable without having to write an absolute tonne of netcode, and it was really “jam interesting” but the gimmick would wear off. I started thinking about doing procedurally generated worlds, but I didn’t want a project that’d take years. A few months later, I threw together an acceptable build of the game in 2 weeks for an event. It had to be offline because we had no internet connection – but it went down spectacularly nonetheless. The thing that astonished me was – people were telling me how amazing it felt straight away. It was rough so people understood a lot needed doing, but I was told “Don’t change the engine at all, it’s perfect”, and that it was better than even Meat Boy’s lauded engine. You get a lot of over-the-top compliments at events, though. It definitely still needed some tweaks, but it was a good foundation. The funny thing was, the physics were coded the same as the jam version – I just added sliders in to determine the optimal values. But the jam version controlled absolutely horrifically badly. I did Physics at uni and specialised throughout my life in Mechanics/Dynamics/Computational Physics, but I never actually stopped to think about how those were exactly what I needed to make a character controller feel perfect. – Used drag, not friction, everywhere except sliding down walls. This way, the player isn’t encouraged to constantly jump, as walking is the same speed as jumping. – Used extremely high gravity to counteract the large drag, but have it balanced enough that you reach a comfortable terminal velocity (whereas in my opinion, Meat Boy enables you to accelerate so fast downwards you have to break the flow of gameplay by stopping yourself from moving. 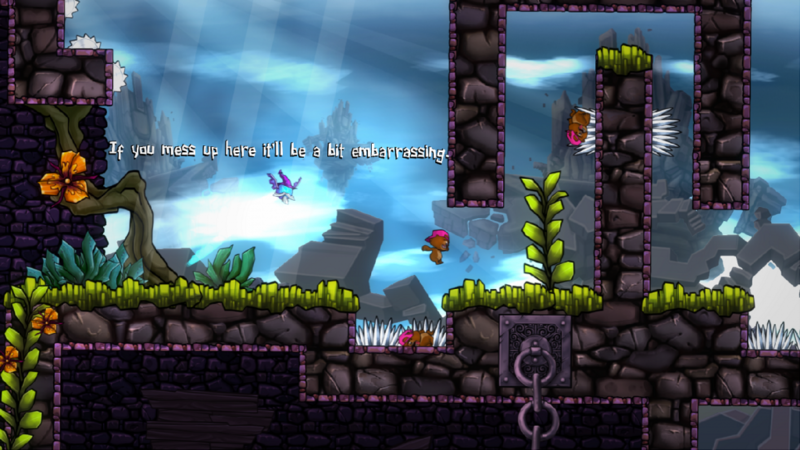 To me, the perfect run should be one where you avoid all unnecessary walls). – Added grace periods after leaving a wall where you can jump in midair for a split second, instead of sticking you to the wall. 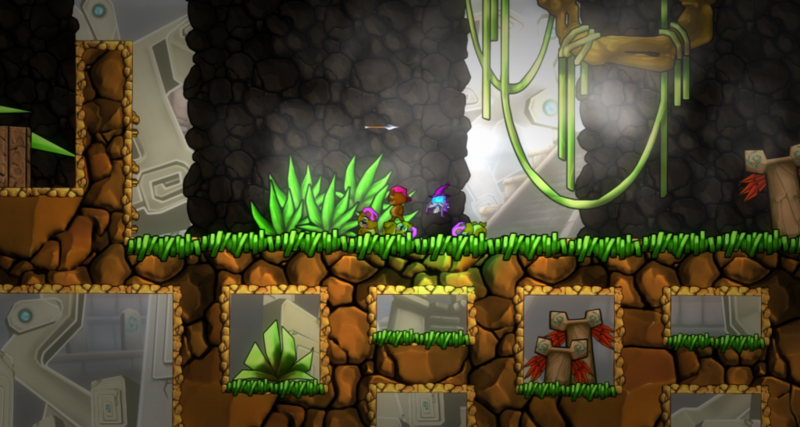 – Making it very easy to vertically ascend, instead of being very horizontally floaty. 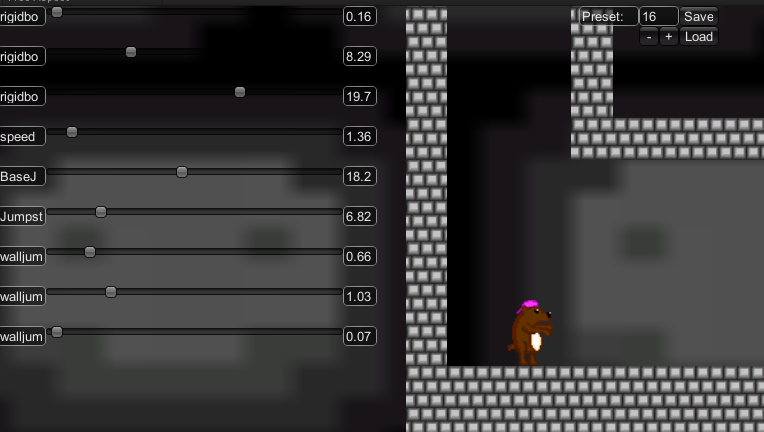 – I liked the idea of Meat Boy’s “velocity conversions”, whereby if you pull back in a horizontal jump you can go higher than normal, but I restricted this to sliding up walls, so you can gain really good, fast air. 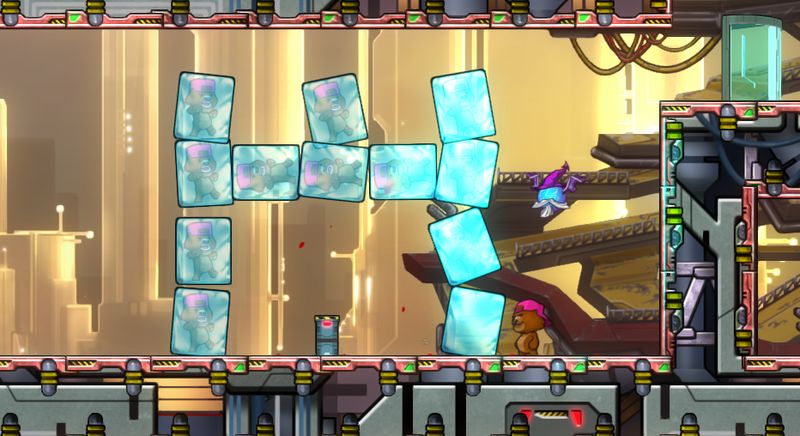 Rude Bear is much better at walljumping and timed hops. – Forced based movement for nicer start/ending movement. – Non-parabolic jumping. I’ll talk about jumping in another blog sometimes because that deserves an article on its own, but to me, jumping should feel like your character already knew how long you were going to press the jump button down before you did it. I hate jump arcs that abruptly cut off in mid-air instead of giving a natural curve regardless of how high you jump. It plays very differently to Meat Boy. 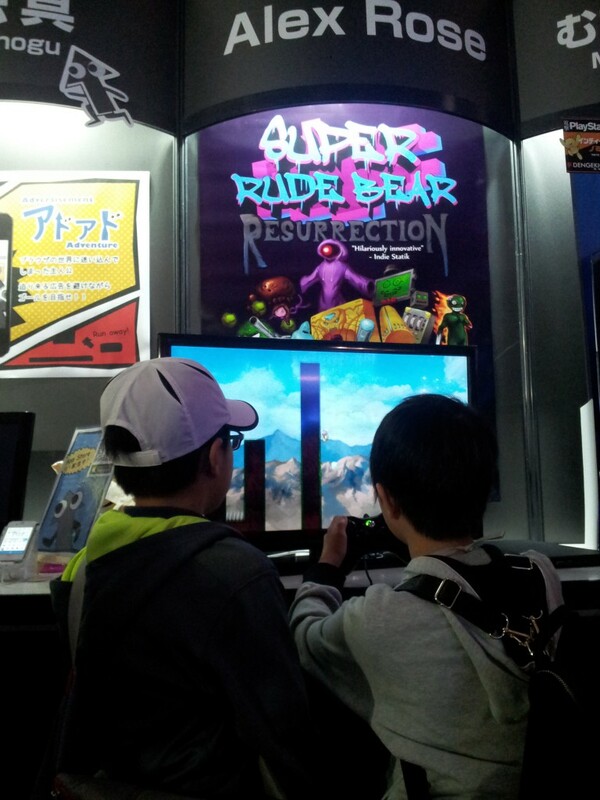 Despite loving it at the time, now when I play it I long for the Rude Bear character controller when I see a section I know would’ve been much more 1:1. Because the character controller is super tight, people always draw the comparison to SMB. That’s fair – it’s one of my favourite games of all time, but I definitely think that the fact that Meat Boy’s engine is pretty tight shouldn’t stop us from trying to make things even tighter. A problem that I never saw with SMB at the time, was that it is too hard for some players. And at the time I was like, “But who cares, they don’t match the target demographic of the game”. But whenever I talk to people who are enthusiastic about Meat Boy, even people wearing the shirts etc, I find a whole bunch of them never even got past Hell. I don’t think I know anyone else who did Cotton Alley. Now, looking back, I think that’s a fundamental flaw – that someone could enjoy your game and truly want to complete it but be physically incapable. And that’s when I realised the value of Rude Bear. It’s a game that anyone can win. It doesn’t matter how bad you are at it. And it’s not tedious, it’s the same process as Meat Boy in which you’re just trying to get ahead and you’re respawning extremely close to where you died, but you can actually see your progress. I spent literally hours on single 30 second Meat Boy levels before – and I knew I was getting slightly better, but I wasn’t getting further. 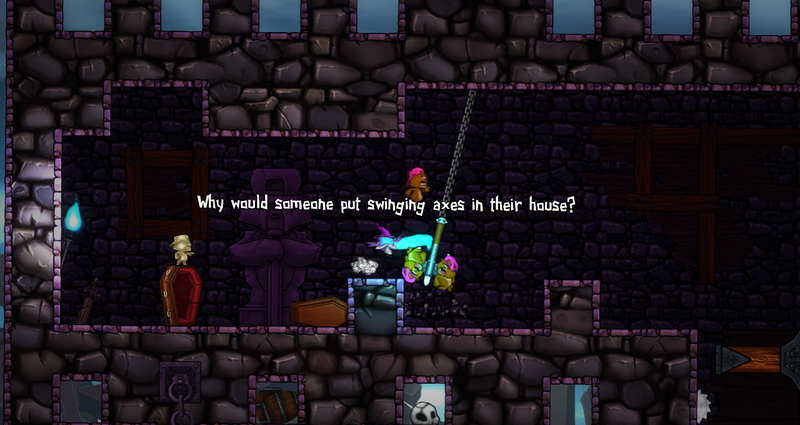 You stick to basic traps like swinging axes, so you can’t die in the same place multiple times. Though it still doesn’t do it justice.